Another mystery of the universe is solved. We now know what a black hole actually looks like. This black hole exists in a galaxy that's 55-million light years from Earth. Scientists say this is something they thought would be impossible to see a generation ago. This particular black hole has a mass that's nearly seven billion times more than the sun. 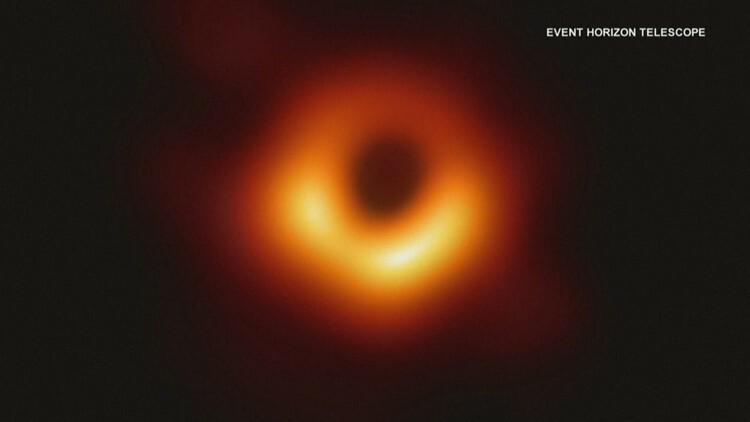 The amount of data gathered to show the black hole was so huge, it took half a ton worth of hard drives. That's a lot of selfies. The image also confirmed Einstein's theory of general relativity, which described the nature of space, time and gravity.